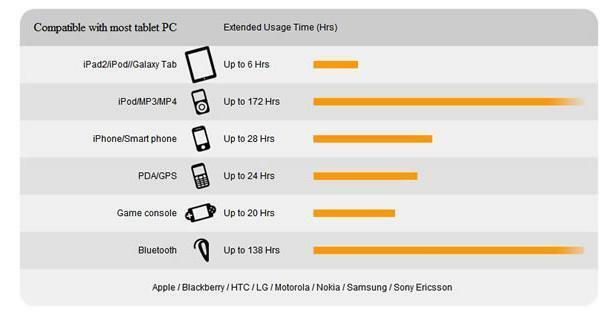 No matter what smartphone you own, chances are its run out of juice at least once sometime when you needed it. There are tons of backup battery options out there to help you keep your phone powered up for the long haul, but with so many options it can be difficult to determine which one might be right for you. To help make that decision a little easier I’ll be checking out some of the best options out there, and giving you the low down on what works well, and what doesn’t. 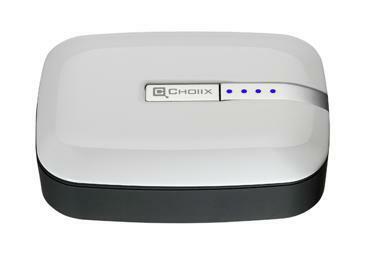 Overview The Choiix Power Fort is a small 5600mAh battery abut the size of a deck of playing cards. The portable battery has a full USB connection on its side, and can be used to charge any device that traditionally charges via USB. Advantages The fact that the Power Fort is essentially just a giant battery is a huge advantage. While I was carrying the battery around to charge my smartphone, the Power Fort could also be used to charge everything from portable gaming consoles to tablets. A fully-charged Fort will get you 2-3 full charges on your smartphone, equaling around 28 hours of additional battery life. Choiix also claims the device can add 6 additional hours to your tablet, 20 hours to a portable gaming console, or an astounding 172 additional playback hours on an iPod. The battery is chunky, but still pretty portable. While I wouldn’t want to carry it around in a pair of form-fitting jeans, I didn’t mind throwing it in my purse of bookbag when I was headed out for a while. Pretty much anywhere you would be comfortable toting around a pack of playing cards (or a pack of cigarettes) you can also carry around the PowerFort. Disadvantages The PowerFort (much like other comparable portable battery options) doesn’t have any way (or come with any way) for you to charge it using a wall adapter. Charging the Fort requires using your traditional phone charger to plug the device into a wall, or connecting it to a USB port on your computer. Since the only input into the battery is micro USB (the full USB is an input), then iDevice owners are SOL when it comes to charging via the wall rather than computer. While I didn’t have a huge problem just charging from my computer. I was able to do so because I, well, spend most of my days in front of a computer. If you spend a lot of time out and about (as you might if you’re in the market for a portable battery), then you may run into a few snags when it comes charging time. Once you charge the Power Fort once, however, it’s good for 2-3 full charges of your battery, so you can leave it in your purse/bookbag/car for times when you need it. Since the Power Fort is just a battery, you’ll also need to carry around your charging cables with you as well, which can weigh you down/get a little awkward at times. Conclusion Ultimately, I’m a huge fan of the Choiix Power Fort. The battery is great for carrying around with you everyday for emergency charging, and is compatible with virtually every smartphone on the market as well as a number of other portable devices making it a great thing to have on hand for all your gadgets while traveling.